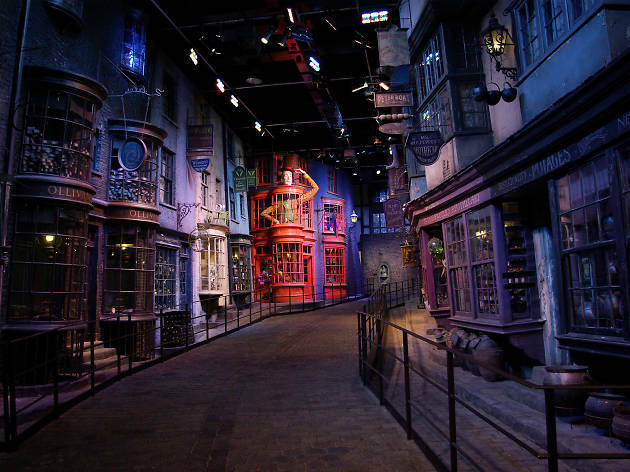 Follow me to the Warner Brothers Studio Tour London. Follow me to Hogwarts. 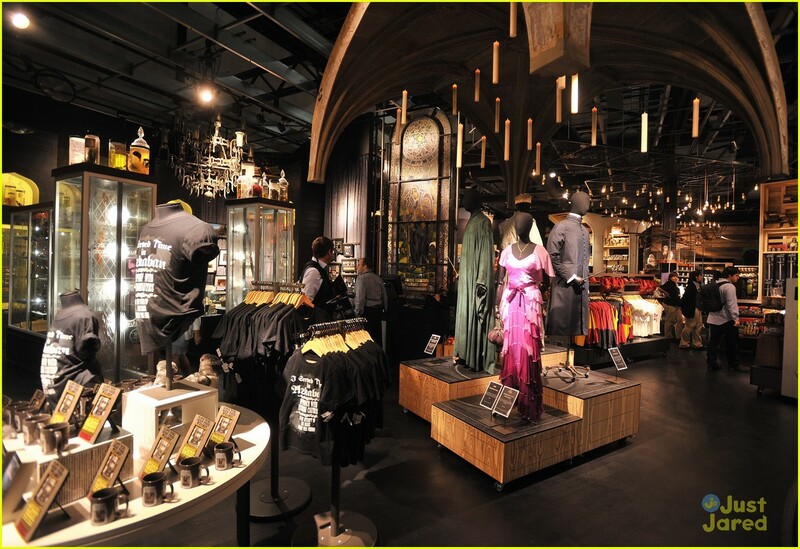 You can find the German version of the article here: Harry Potter Exhibition in London. 1990 was a year that changed the life of so many people around the planet. A young woman from South England sat on a train from Manchester to London and gave birth to a boy in her incredibly creative mind. A boy that would influence, inspire and accompany millions of children and adults for so many years and years to come. The seven years following Rowlings Manchester-London journey and the first glimpse of Harry were shaped by the death of her mother, the divorce from her husband and the birth of her daughter. Rowling lived in poverty when she finished her first Harry Potter book in 1995. 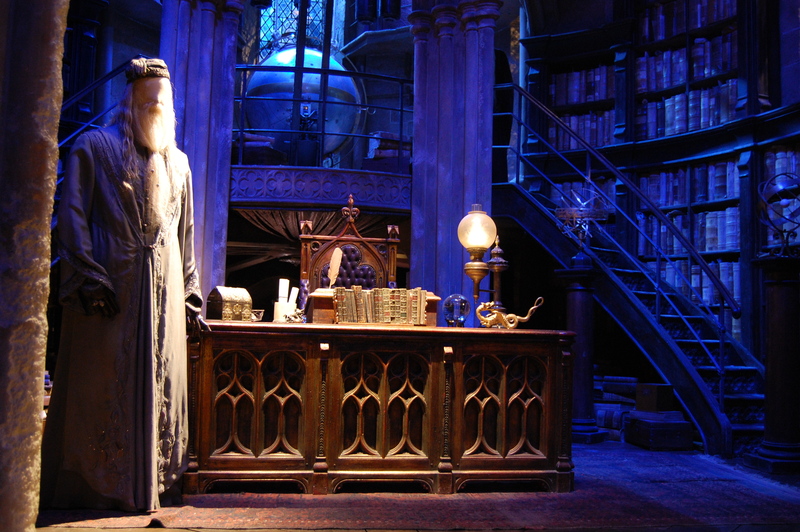 The first manuscript of the Philosopher’s Stone was written on an old manual typewriter. How could anybody know that only a few years later she would be one of the most successful and richest women in the UK? When I was ten years old I got my first Harry Potter book for my birthday. The year after I waited desperately for my Hogwarts letter to come – I mean, who didn’t at that age? – and it was so hard I was not chosen to become a wizard. So I started living in this magical world for myself, just as millions of children did around the world. I spent evenings with my friend, dressed up as witches, and we were brewing Butterbeer (there were various recipes on the internet), and lay awake at night reading Harry Potter books aloud. Tell me, what was your own childhood with Harry Potter like? Hogwarts is coming to life. For me, the audio cassettes of the Philosopher’s Stone became an everyday companion and soon I knew the first book by heart. J.K. Rowling never could have imagined that due to her writing we were all living in two different worlds – the world of our parents and ordinary school and the magical world of Hogwarts, side by side with our best friends Harry, Ron and Hermione. Fifteen years later it was about time to finally receive what I have not expected anymore: The letter to Hogwarts. 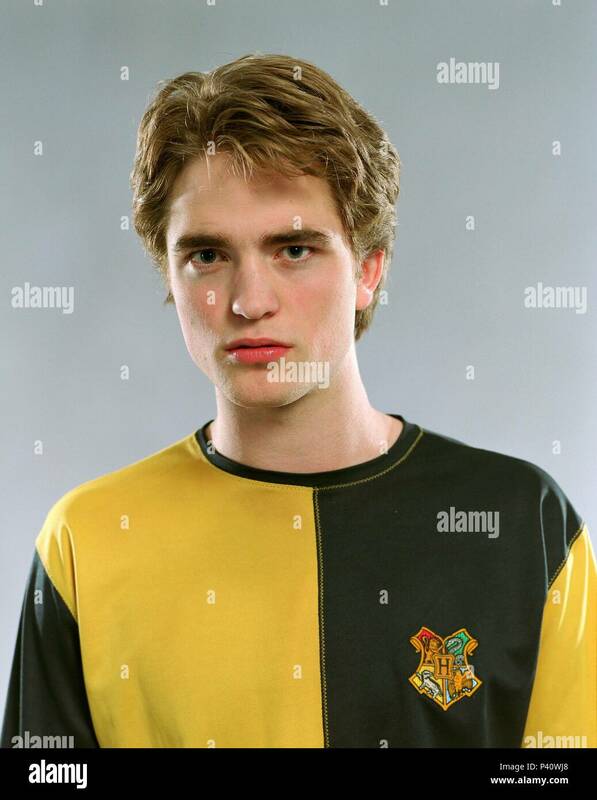 It was 2001 when the first movie of Harry Potter was released. The magical world that we have been living in was now coming to life, to the big screen. I have seen the Philosopher’s Stone in cinemas so often that even today I know at which moment the film made a break – it was after Hermione learned perfectly the Wingardium Leviosa spell. It has been such an emotional moment when we, the young and excited witches and wizards to be, saw our impressive Hogwarts Express for the first time, steaming and snorting through the countryside. 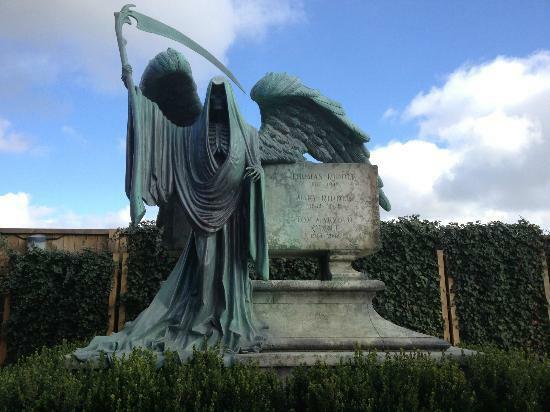 Put on your cloak and follow me to your Warner Brothers Studio Tour London! The Warner Brother Studios London became home for the cast and crew for ten years. 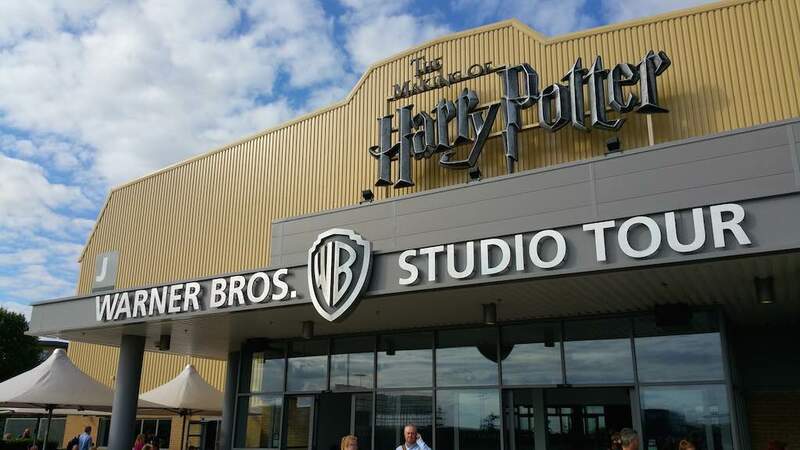 In Leavesden, a little outside the city, hundreds of men and women began a decade of producing movies, that were bringing to life a magical world that was loved by millions. With each new film, the Harry Potter phenomenon grew, making the eight films the biggest series in history. So now my dear reader and diligent Hogwarts pupil: you may put on your cloak, take your wand with you and don’t forget your owl, cat or toad (you may also bring a rat if you prefer). Let’s go on a magical journey together. I am taking you into the film studios of Hogwarts. It is important for me that you will have a lot of surprises when you walk through the massive doors of the Great Hall yourself one day. 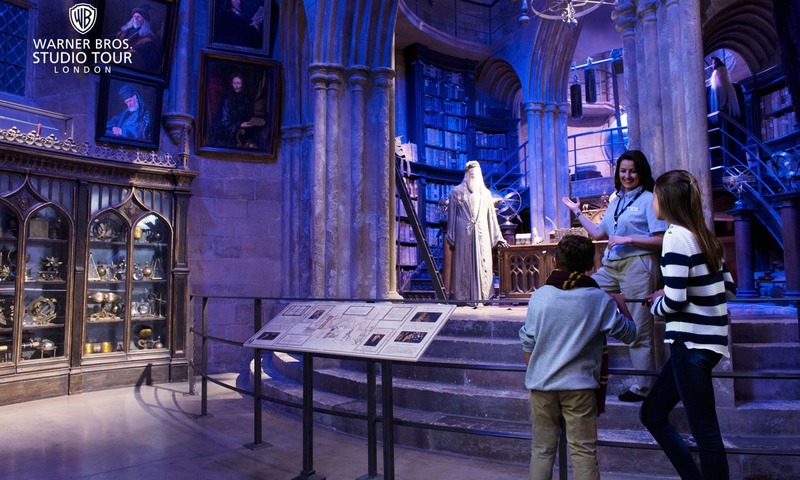 That is why I chose a few highlights from the studio tour – and let the rest of the numerous attractions wait for you in London. The first place we visit would be my home as a Gryffindor girl, and maybe yours too? I always loved this scenery in the movies, as those warm colours, antique patterns and cosy armchairs look so homely! The portraits at the Gryffindor Common Room walls display the Heads of the House. On the top a young Professor McGonagall is portrayed. The black cat by her side shows her animagus. On the desk in the back you can see the Gryffindor Common Room’s radio. It received news from the Wizarding Wireless Network. The front grille moves like a talking mouth. The studios also displayed a lot of costumes from the movies. I am pretty sure you already recognized which movie these clothes are from! Up the staircase from the Gryffindor Common Room lies the boy’s dormitory, which Harry and Ron shared with Neville, Seamus and Dean. 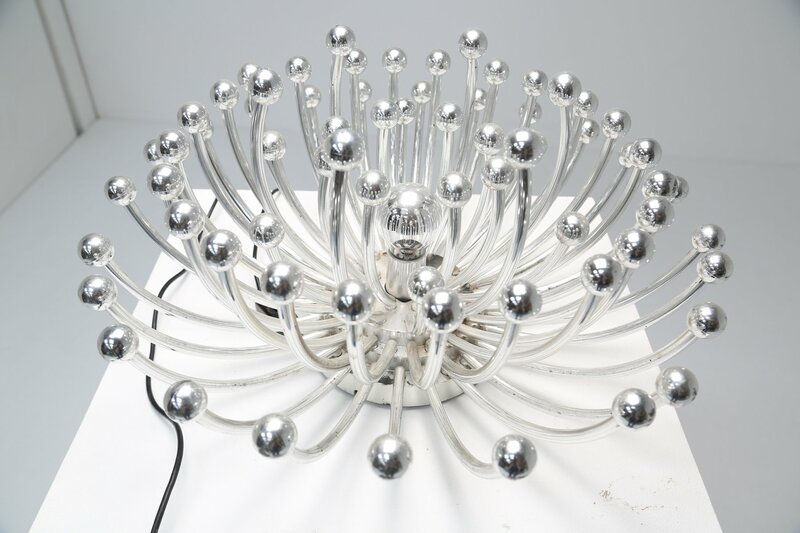 The circular shape of the room was a way of creating a space where Harry could finally feel home. The beds were originally constructed for Harry Potter and the Philosopher’s Stone. By the later films the beds were much too small for the actors. They had to curl up their legs and feet from hanging over the ends during filming. The decoration of the dormitory was specialised for each of the boy’s spaces. 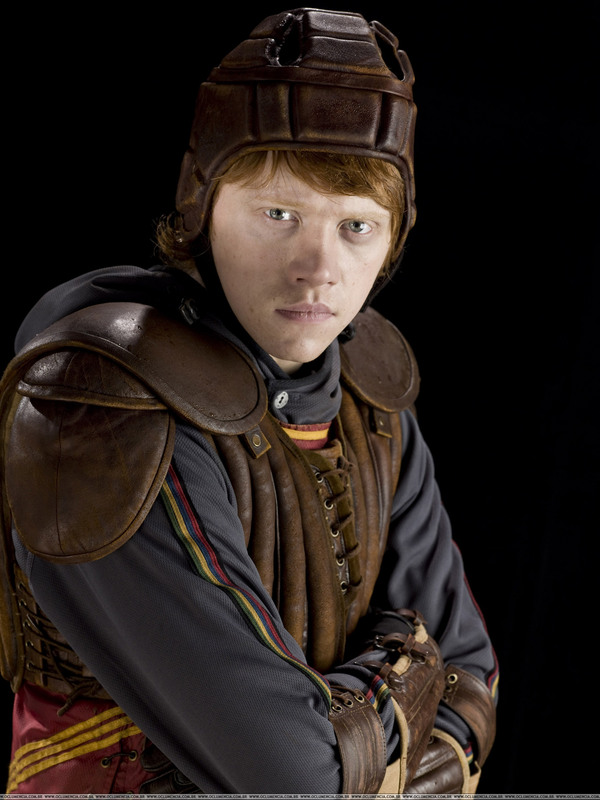 For example near Ron’s bed they put up posters and pennants of his favourite Quidditch team – the Chudley Cannons of course! 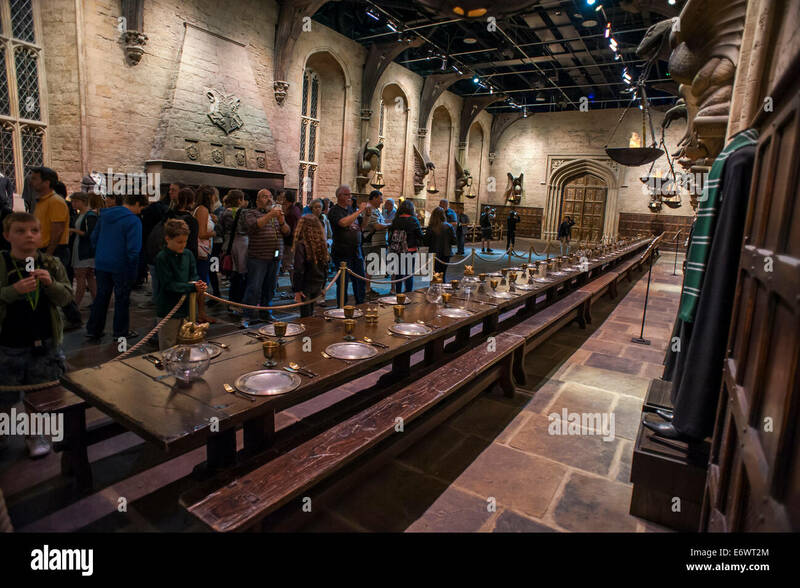 For filming the Hogwarts scenes with all the students about 500 actors were needed. As the children were very young they were only allowed to shoot four hours a day. Divided up into two groups, during the day 250 children were learning for school, while the other half was filming. 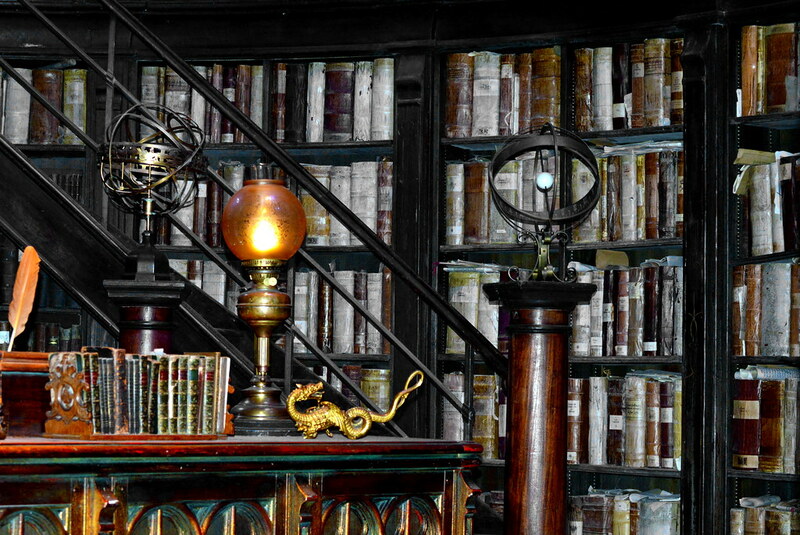 Professor Snape and later Professor Slughorn taught Potions classes in this dark classroom. The walls are lined with dusty shelves full of jars and bottles. All those bottles and jars have been filled and labelled by hand. Their ingredients are plastic animals from Regent’s Park Zoo gift shop, baked animal bones from a local butcher shop or dried leaves and herbs. The art department designed this room to look like a dark underground corner in an old castle. The brass-leafed archways are signed with inscriptions on the top. 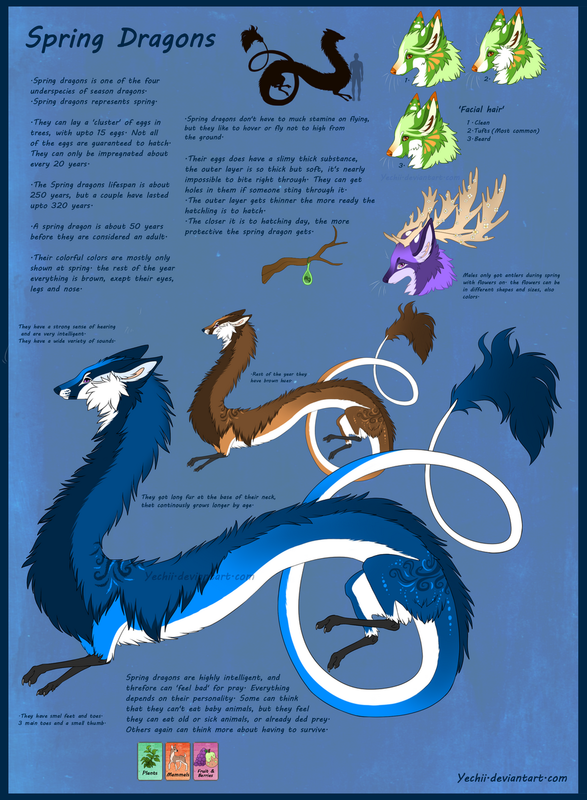 These show the English and Latin names of rare minerals or potion ingredients. The Burrow is a place full of love and comfort, I think I would move in there if I could. 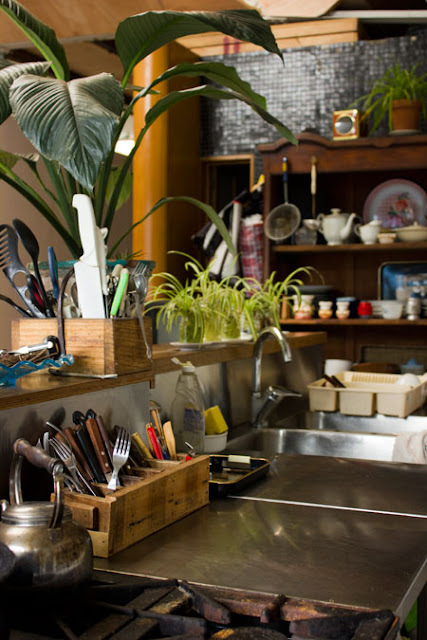 Not to forget all the self-cleaning dishes! The Burrow was designed to look as though Mr. Weasley has built it all – including a pigsty. That’s why no wall in the Burrow was at the right angle. Every surface deliberately sloped. To achieve this look, the construction crew pulled and pushed support beams and wall units out of place after the set was constructed, using big chains. The amazing Weasley family clock was purchased at a local auction. Prop makers outfitted the clock with new pendulums, gears, hands and other accessories. Hint: Some magic is waiting for you at the Burrow, so don’t forget to bring your wand! The Ministry of Magic was one of the largest sets ever constructed for the films. It took nearly twice as long to build as the Great Hall! 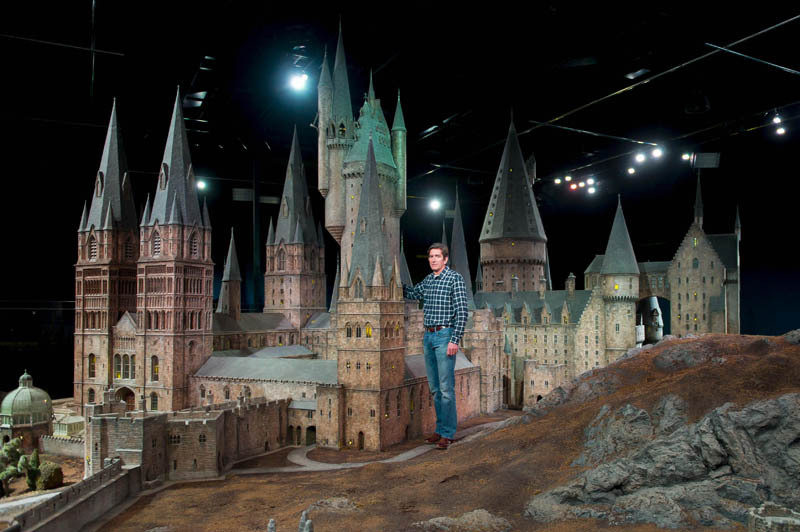 During Harry Potter and the Order of the Phoenix shooting director David Yates put his crew to work as witches and wizards, milling about in the Atrium. One minute, the on-set crew would be hammering and re-painting. The next, customers were fitting them with long cloaks, white beards and wizard heads. Inspiration for the building came from everywhere. The red office towers were based on a 19th century Victorian building on Tottenham Court Road in London’s West End. Set Designer Stuart Craig drew his inspiration from the oldest London tube stations, which are covered in ceramic tiles. The construction team mimicked that look using more than 30.000 green tiles made of wood – all coloured by hand. 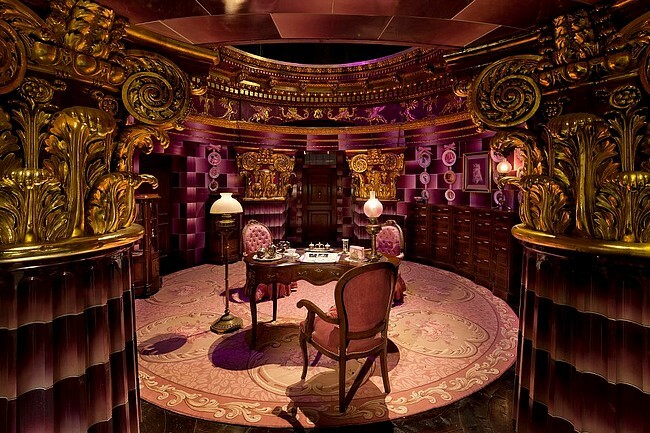 Umbridge’s office in the Ministry retains many of the nuances that were featured in her office at Hogwarts. She had a love for ornate furniture. Set decorators found these at a Middle Eastern furniture shop in North London. Each of the kitten plates had a bluescreen centre on the set, that was replaced during post-production. When we had a chat with one of the lovely wizards at the studios we mentioned that it was my birthday. He told us to wait for a minute and then – I can tell you I was nearly crying when I saw this – he came back with the most lovely birthday present I could imagine: my very own letter to Hogwarts. The envelope I have been waiting for over fifteen years. The moment had come to hold it in my own hands and I will cherish this one forever. Moreover, the employee (I think his name was Tom, how matching!) told us to go to one of his colleagues tell her we would like to see Tom Riddle’s Diary. I thought it was a codeword and was very curious, went to the young witch near the Hogwarts express and told her what Tom instructed us to do. A few moments later a man walked towards us, wearing white gloves and carrying a small black suitcase in his hands. As he stood in front of us he opened the box to show what was inside. For a moment I stood there in shock. Then I realized there it was. Tom. Riddle’s. Original. Diary. I am sorry for these pictures, but my hands were shaking too much. This was the exact diary that gave Harry contact to Lord Voldemort. The Diary that Harry pushed the basilisk tooth into. The. original. Diary. No more words needed! When you enter the hall and see the steam of the enormous Hogwarts Express you definitely need some time to realize where you are standing. The sight of this locomotive is breathtaking and one of the great highlights of this amazing studio tour. The bright red Hogwarts Express became one of the most iconic vehicles in motion picture history. Before its career as a movie star, the Express served as a working passenger locomotive from 1937 until 1963. The real locomotive and passenger carriages were used on locations throughout the UK to create exterior views of the train. A special interior carriage set was built in front of a green or blue screen on the soundstages at Leavesden. This one was used for all of the scenes that take place inside. 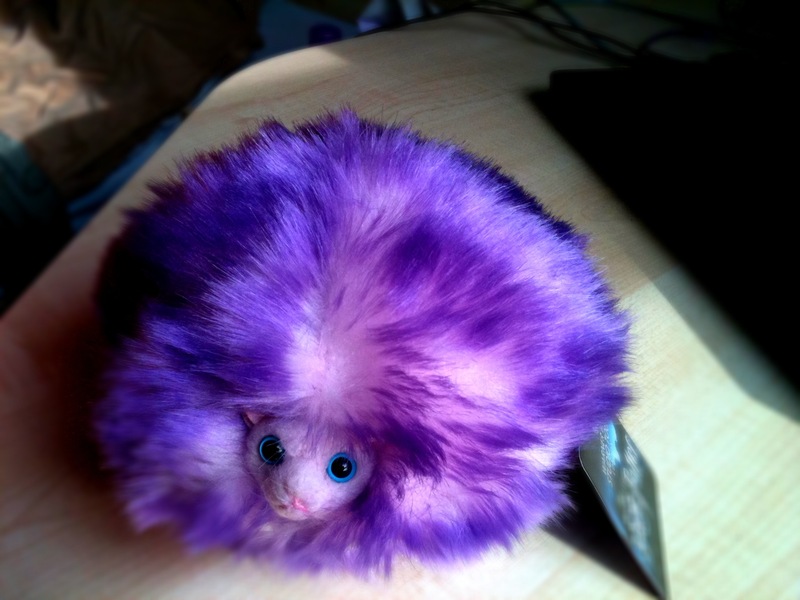 So if you wish, you can have a seat and chat with Ron about the colour of his rat! 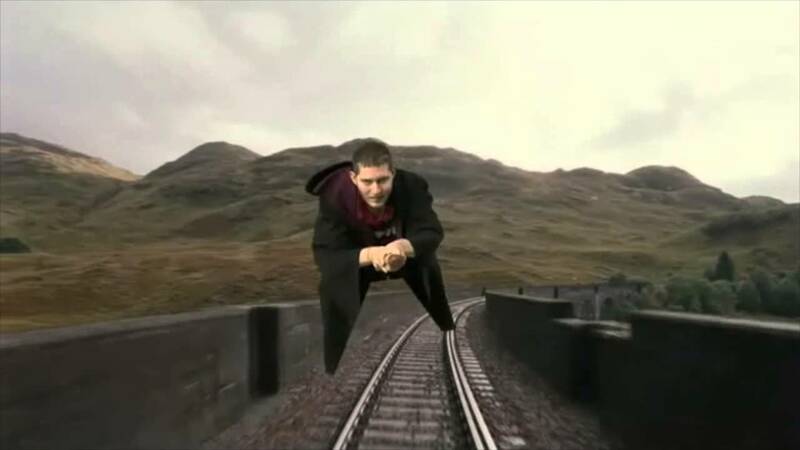 In 2010 the Harry Potter film series came to a close when principal photography finished as it had begun: with a shot of Harry Potter and the Hogwarts Express. The very first shot ten years ago was an eleven-year-old Harry stepping onto the train at Hogsmeade Station. The very last shot was an older Harry now seeing his own children off to Hogwarts from platform nine and three quarters at King’s Cross Station. 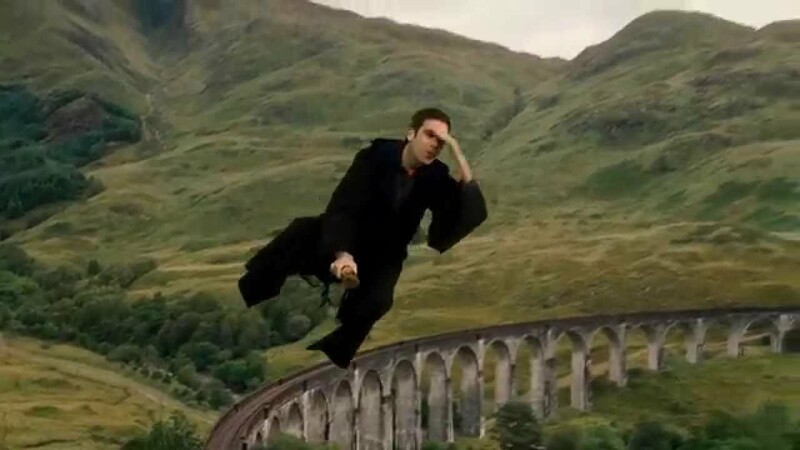 Over the intervening years, the entire world watched as Harry Potter literally grew up along with his friends Ron and Hermione, bravely facing adversity, vanquishing foes and travelling aboard the iconic, red train. I can imagine that now you would love to visit Hogwarts as well. Whether by train or flying car, here are some hints for your journey. 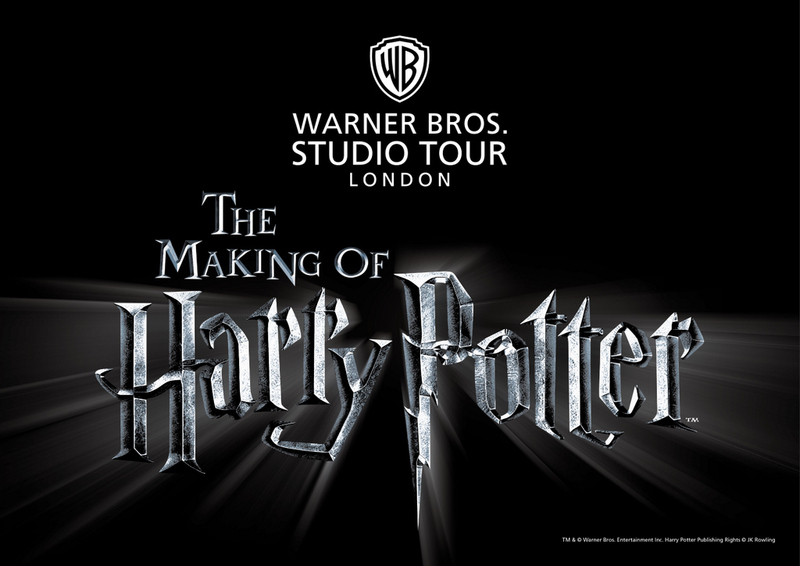 Tickets for the Warner Brothers Studio Tour London can only be booked online. You can book an enlarged ticket with audioguide. It will show you further behind the scenes views and videos. Visitors can book for different time schedules. You should not visit later than 12.30, as the visit can take about 5 hours time. You can bring your own food an drinks, but eating is only allowed in the food corner after half of the tour. The studios are outside London. You can take a shuttle bus from Watford Junction, which takes about 15 minutes to the studios. It costs 2£ and also takes you back to the city. Bring a camera and make sure you have enough battery and storage, you will take hundreds of photos. Don’t forget to try the Butterbeer! There will be a long waiting queue, but if you love delicious, sweet drinks it’s definitely worth waiting. For two extra pounds you can also take the cup home with you! You should wear comfortable shoes, as you will walk a lot. When you have the chance, visit the studios before Christmas or Halloween. Hogwarts will be beautifully decorated – just like in the movies! Another perfect day to visit is your birthday. When we told the staff, I got a lovely button that said „It’s my Birthday“ and every witch and wizard in the studios congratulated and, as you read, gave me some incredible extra surprises. I was also allowed to open the door to the Great Hall and enter before the other visitors. What would be a better birthday than a day at Hogwarts! The best preparation is of course watching the movies – yay! While watching keep in mind that all the amazing costumes, settings and props will soon be right in front of you, how amazing is that! The Warner Brothers Studio Tour London is celebrating 15 years of the Philosopher’s Stone this year, so the studios prepared some lovely extras four their visitors. Bring a lot of time with you, sleep well the night before, get into the jumper of your house, and you will spend a day in Hogwarts that you will never forget. I want to end this post with a quote by J.K. Rowling , that was also displayed at the end of the Warner Brothers Studio Tour London. A quote that makes me get get goose bumps every time I read it. And one further thing needs to be said: Thank you so much J.K. Rowling for creating this world.